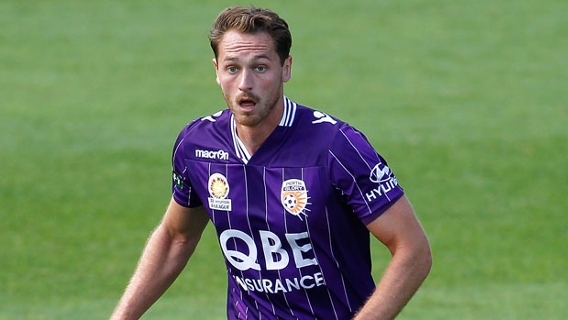 Perth Glory captain Rostyn Griffiths is looking forward to meeting the fans at the Town of Bassendean’s Australia Day Celebrations and Fireworks 2017 — as part of the Perth Glory’s ambassadorial role at the event. Griffiths, who became captain of the club in October 2016, said he doesn’t mind taking a break from his normal Australia Day celebrations to chat to fellow Glory supporters. “Usually I try and get my dad out on the boat and watch the fireworks”, Mr Griffiths said. The chances of Griffiths being asked to sign autographs are pretty high but Rostyn shared with Jeziel that it took him a while to get used to his new-found fame. 98five’s Jeziel will be broadcasting live from 4-8:30pm at the Town of Bassendean Australia Day celebrations. This is the 12th year 98five has been part of the event. The fireworks begin at 8pm, backed by an exclusive 98five soundtrack which you can tune into from anywhere via our iOS or Android apps or online. BYO picnic, rugs and chairs, or you can purchase food and drinks from the many stalls on site. Parking is strictly limited (a $10 fee per car applies in the designated parking area) and you’re encouraged to TravelSmart – walk, ride, catch a bus or train (which stops directly opposite Ashfield Reserve! ), or car pool to the event. Cyclists get safe and secure free ‘bike minding’. Please note this is a pet free event. By Mike Atkinson | Drive Producer and Public Relations Officer The Micronesian nation of French Polynesia could be the first country to have an independent floating city by the end of the decade….